Commercial Restaurant Repair & Service and Industrial HVAC Repair & Service, Red Bank NJ | Able Mechanical Inc.
We offer restaurant equipment repair & commercial refrigeration services to many different industries. 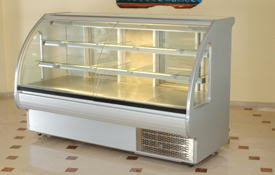 We install, maintain and repair any commercial refrigeration system as well any food service industry equipment. Some of the industries we have served include; food service, healthcare, assisted living, commercial business parks and manufacturing. We provide commercial HVAC Systems service & repair to many different industries. 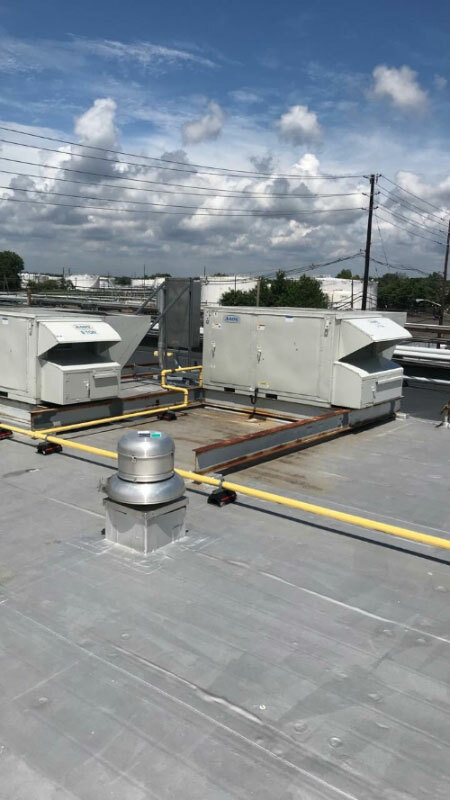 We offer service, replacement and new installation of all commercial HVAC equipment, including but not limited to chillers, gas and oil fired boilers, cooling towers, water source systems, rooftop units, split systems, package units, pumps, and VAV boxes. Able Mechanical is a company committed to offering you a full range of services from testing backflow preventers to running a complete cross-connection control program. A cross connection is a connection between the drinking water and anything that could contaminate or pollute the drinking water if the flow of water were to reverse. All makes sizes and locations throughout New Jersey. Our testers are certified through New Jersey. Maintaining the proper operation of a backflow preventer is very important to protecting safe drinking water. We will repair your backflow preventers if they have failed their regular test or just seems to be giving you problems such as nuisance leaking. 3. Survey your community or plant for cross-connections. We will perform a survey of your community or business for cross-connections and make recommendations for elimination or isolation of the cross-connection with a backflow preventer commensurate with the degree of hazard. Whether it is one building or a whole community we will inspect for cross-connections to protect your drinking water. We will coordinate the installation of a backflow preventer to ensure that the correct type, size, and model is installed according to national and local standards. 5. Start and run a complete cross-connection control program. We have staff with over 30 years’ experience starting, operating and maintaining a municipal cross-connection control program. We can arrange for public education, publicity releases, ordinance/regulation development or if you have an ordinance/regulation we can review it for you for compliance with state drinking water standards. Able Mechanical can develop installation standards and review plans of new construction for proper backflow preventers all according to nationally accepted standards. Able Mechanical will develop necessary letters to remind customers when it is time to test their backflow preventers or get them repaired if the test indicates the device does not pass its scheduled test. State reporting is also important. Able Mechanical can arrange to develop all necessary year-end reports for the water supplier to be in compliance with state regulations and laws. Thank you for visiting our website. If you have further questions regarding our any of our services, please give us a call today.